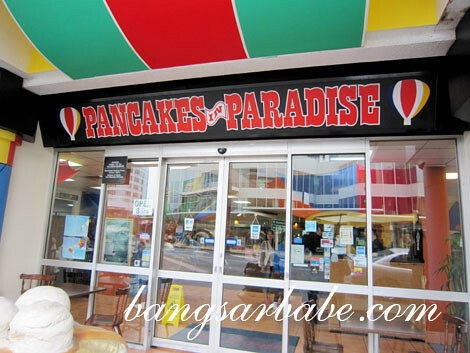 A few people recommended Pancakes In Paradise to me, when rif and I went to Gold Coast in June this year. There was a point in my life where I ate pancakes for breakfast and dinner every day. That was when I lived in the UK, where flour, milk and eggs were cheaper than meat and vegetables. So I made pancakes and ate them with butter and syrup. Sometimes with bacon, if I manage to score some at the reduced price section. I like to think I make pretty decent pancakes – rif, my family and some friends whom I invite over for breakfast occasionally say so. That said, I expected good pancakes at Pancakes In Paradise. Especially when the restaurant’s name claims ‘paradise’. The Canadian Breakfast (AUD15.95) I ordered comprised a stack of buttermilk pancakes, whipped butter, two bacon rashers and fried egg. 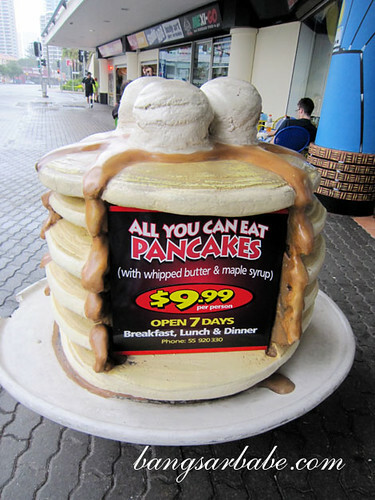 It sounded like a good deal, except, their idea of ‘a stack’ meant two pancakes. Tastewise, it was nothing to shout about. 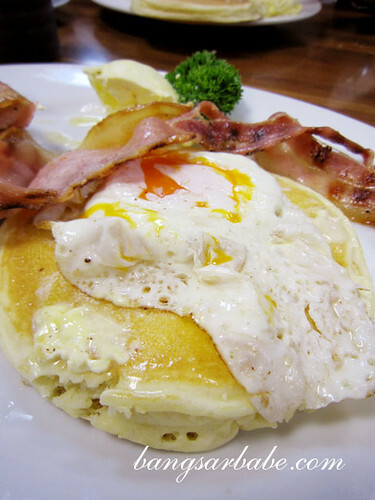 While the pancakes were adequately fluffy, the bacon rashers were greasy and chewy. The fried egg looked like it was fried with the same oil as the bacon, or maybe even bacon oil. rif’s Belgian Waffles (AUD8.50) were just as disappointing. The waffle was bordering chewy and the dusting of icing sugar looked like ‘winter gone wrong’. 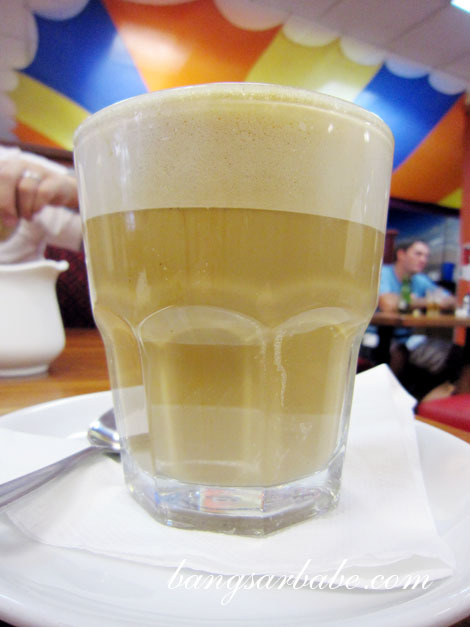 My café latte (AUD4.50) was one of the worst lattes I’ve tried. Even worse than the ones from coffee chains in Malaysia. 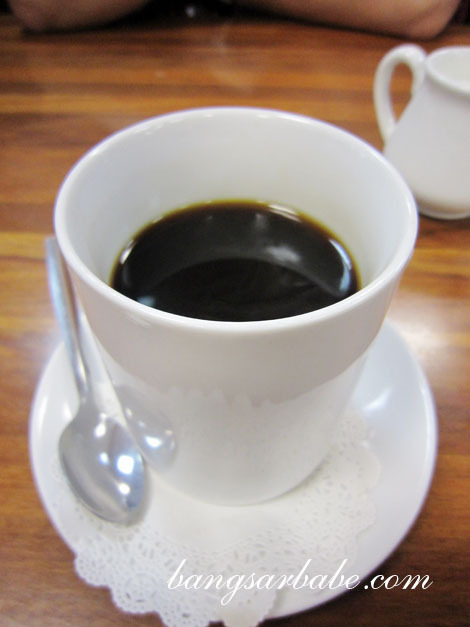 The fresh brewed filtered coffee rif ordered tasted like ‘donkey piss’. It was burnt, gritty and sour. Not that I’ve tried the latter. But you get the gist. Though it was refillable, he couldn’t bring himself to finish his first cup. I was very disappointed with the food. Service was ok, but not good enough to minimize my disappointment. Verdict: Overhyped. I wouldn’t recommend this place. Ahhh…sad to hear that. 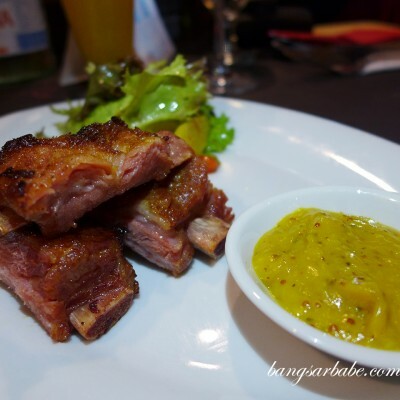 Photos looks yummy…unfortunately not the taste..
For OZ standard’s, that is not good!